Aer Lingus has unveiled a refreshed brand with updated logo and new aircraft livery, reflecting the airline’s position as a modern and contemporary Irish brand that competes on the international stage. The new brand identity supports Aer Lingus’ ambition to be the leading value carrier across the North Atlantic. 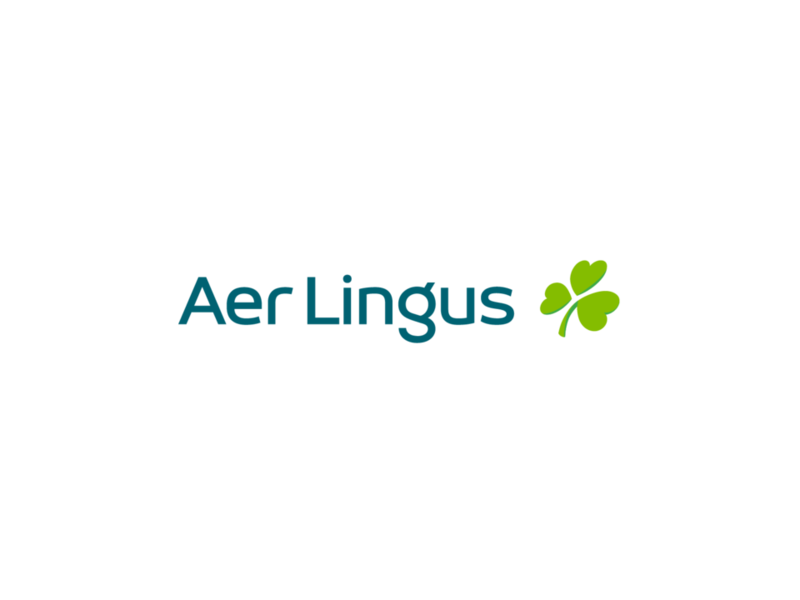 The Aer Lingus logo font has changed to ‘diodrum’ and the dominant colour is teal. The body of the new look Aer Lingus aircraft will be white with a teal-coloured tail and engines, bringing a sleek, contemporary feel to the design. The teal undercarriage means that Aer Lingus will be instantly recognisable to those on the ground. The brand refresh is being rolled out today across all brand platforms, with a new website design and new app design. It will be visible across all guest touchpoints, from check-in to boarding gate and on to the aircraft. – Aer Lingus is a modern Irish international success story, built on hard work, enterprise and the commitment of our people. We’re delighted to unveil our brand refresh today, which comes more than 20 years after Aer Lingus last invested in new brand livery, and reflects our position as a modern, contemporary airline. Aer Lingus has had exceptional success in recent years: adding new routes, new aircraft, new jobs and new opportunities for colleagues and guests alike”. – The refreshed brand reflects an airline that connects those living in Montreal to Marseilles; in Berlin to Boston; as well as those living in Cork to Croatia. The benefit for Ireland of being at the fulcrum of such connections is considerable and we in Aer Lingus are determined to realise this potential for Ireland”. – The Aer Lingus brand has evolved significantly over the last number of years. Since 2015, we’ve invested significantly in our business, improving our value proposition and overall guest experience and becoming Ireland’s only four star airline. Innovations that we have introduced include the roll-out of WiFi on our A330s, automated check-in and bag drop at Dublin Airport, Business Class improvement with fully lie-flat beds and economy catering upgrades. We’ve also enhanced our performance to become the most punctual airline at Dublin Airport. – We conducted extensive guest research across Ireland, Europe & North America to inform every key stage of the process to ensure that the brand revealed today is reflective of our value carrier positioning. This research confirmed the importance of our shamrock – the Irish emblem has been at the heart of the Aer Lingus brand for more than 80 years, and we made the shamrock ‘hearts’ more pronounced to reflect our hospitality and service. The new look Aer Lingus brand will be introduced today across the app, website, guest check in and boarding gates. 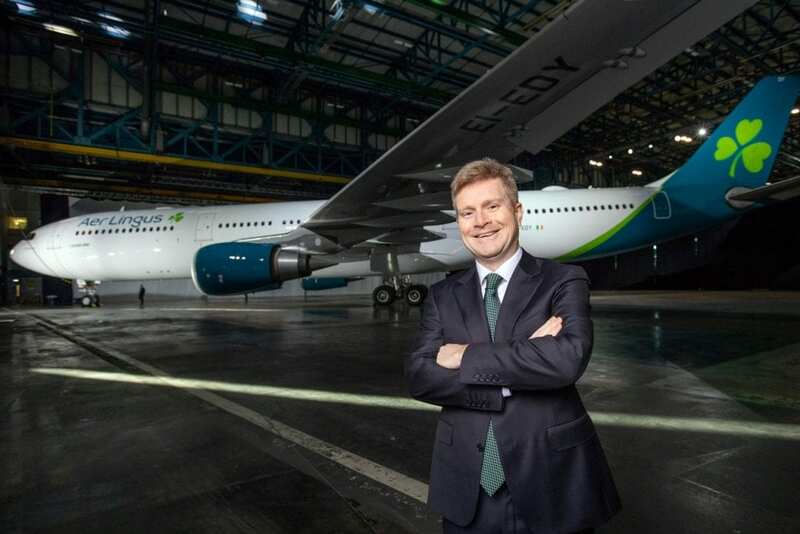 The brand refresh is being delivered in keeping with Aer Lingus’ value carrier model, as part of the company’s business as usual aircraft painting programme. All new aircraft will be delivered sporting the new livery and the updating of digital assets has been done in a highly cost-effective manner. 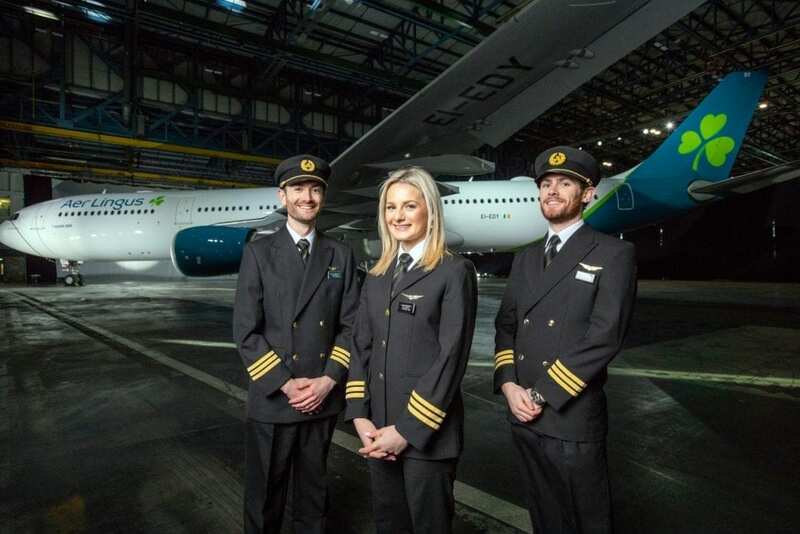 The A330 (A330-300 series aircraft, EI-EDY, St Munchin) was unveiled at an event in Aer Lingus’ Hangar 6 at Dublin Airport, where it had been painted on-site. The A320 (A320-200 series aircraft, EI-CVA, St Schira.) flew from Shannon Airport, where it had been painted. The new liveried A330 aircraft will take to the skies for the first time on Friday 18 January, operating flight EI105, where it will be met by a reception in John F. Kennedy International Airport.